Former Vice President and presidential aspirant on the platform of the Peoples Democratic Party (PDP), Alhaji Atiku Abubakar, will tuesday resume his visit to states controlled by the PDP, in continuation of his nationwide consultation with leaders and stakeholders of the party, towards the actualisation of his presidential ambition. 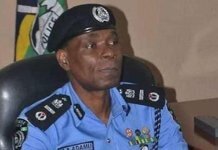 The visit will take him to Bayelsa and Rivers States in the South-south geopolitical zone, where he will be a guest of Governors Henry Seriake Dickson and Nyesom Ezenwo Wike, respectively. As the July 14 governorship election in Ekiti State, the former vice president has called on the candidate of the All Progressives Congress (APC), Dr. Kayode Fayemi, to be prepared for defeat . While the former vice president would meet frontiersmen of the PDP and hold consultative meetings in Bayelsa State in the course of his two-day visit today and tomorrow, he is expected to inauguration projects executed by the Wike-led administration in Rivers State on Wednesday, June 20 and June 21. Atiku had in January 2018, commenced a series of visits to states under the leadership of the PDP, with a visit to Ekiti State. Thereafter, he was in Rivers State in March; Akwa Ibom and Cross River States in May, as guest of Governors Wike, Udom Emmanuel and Ben Ayade respectively, before the commencement of the Ramadan fast. Atiku yesterday returned from a month-long visit to Saudi Arabia and the United Arab Emirates (UAE), where he observed the Ramadan fast and participated in the lesser hajj. 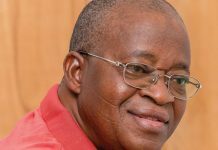 The private jet which conveyed the former vice president, citizen, with registration number T7-AAA, touched down at the private wing of the Nnamdi Azikiwe International Airport, Abuja, at about 2.30p.m. He was received on arrival by several dignitaries, including the former Ogun State Governor and Director-General of the Atiku Presidential Campaign Organisation, Otunba Gbenga Daniel; PDP gubernatorial aspirant in Adamawa State, Ahmed Umar Fintiri; former Special Adviser to the Vice President on Legal and Constitutional Matters, Prof Maxwell Gidado (SAN), and Alhaji Abdullahi Sugar, a Kano-based entrepreneur. The welcome party also included Atikuâ€™s eldest son, Adamu; Alhaji Abdullahi Tsalah from Adamawa State, former House of Representatives member, Gbenga Oduwaiye; PDP Woman leader from Cross River State, Hon Blessing Egbara; Dr. Lloyd Ekwu from United States Nollywood artist, Saint Obi, political associates, youth groups and personal aides. The former vice president took time to shake hands with the long queue of admirers who received him at the airport, including airport officials and said â€˜Thank you for comingâ€™ individually to everyone. Other PDP states scheduled to be visited by the former vice president include: Delta, Abia, Enugu, Ebonyi, Gombe and Taraba. This will immediately be followed by a whirlwind tour of all 36 states and the Federal Capital Territory (FCT) which will feature town hall meetings and interactive sessions. However, Atiku has debunked media reports that he would be in the United States later this month. Reports at the weekend said the former vice president would speak at a trade and investment gathering in Washington D.C. later this month. The organisers of the event was believed to have listed Atikuâ€™s name as number one among dozens of personalities they said had been invited to the event. Governors Nyesom Wike of Rivers State and Ibrahim Dankwambo of Gombe State, Deputy Senate President, Ike Ekweremadu, and Minister of Trade, Industry and Investment, Okechukwu Elelamah, are among those also said to have been invited. 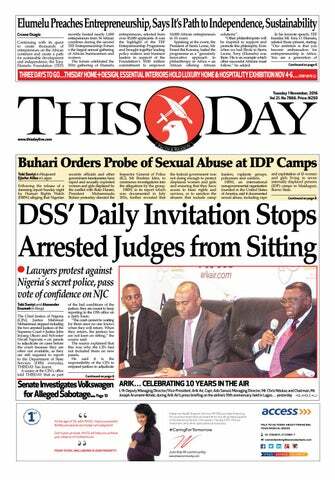 â€œThere is no such invitation to the former vice president,â€ his spokesperson, Paul Ibe, told Premium Times monday. The report that the former vice president would be visiting the US for the event scheduled to hold between June 24 and 26 has seen some people draw conclusions that the possible visa restrictions placed against him have been relaxed. Atiku was named in a contract scandal involving Nigerian and American officials in the mid-2000s. Williams Jefferson, a serving US federal lawmaker at that time, was arrested, prosecuted and sentenced to jail for his involvement in the fraud, which was largely about bribery, influence-peddling and contract inflation. Despite claims that the former vice president was involved in the scandal, according to a US Senate investigative committee report, the Nigerian politician continues to maintain his innocence. 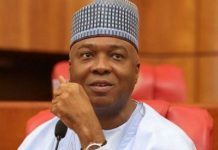 The US Senate report and several other exhibits that led to the successful conviction of Jefferson, who was Atikuâ€™s political associate, are largely seen as the reason he could not travel to that country. The PDP presidential aspirant, who is a strong contender for Nigerian presidency in 2019, frequently travels to the United Arab Emirates and some Western countries. He recently acknowledged that he has difficulties visiting the US, but said he should not be blamed for the dilemma. The presidential aspirant said he applied for the US visa on past occasions, but was denied each time. 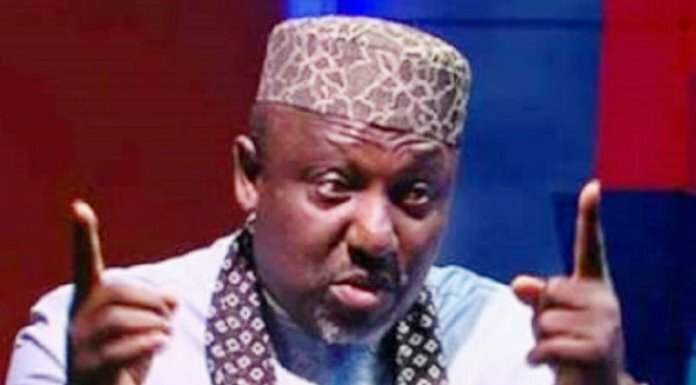 He has rejected insinuations that his failure to enter the US could damage his political ambition, saying the Nigerian Constitution does not require that a citizen must be able to enter the US to be eligible for elective office. 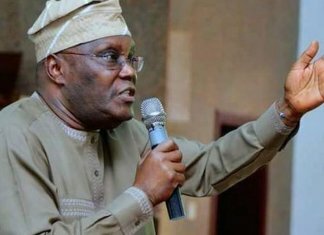 Moreover, Atiku said some Nigerian leaders have been denied entry into the US in the past and later became president, including President Muhammadu Buhari whom he said was banned for 15 years. Buhari has denied this claim, saying Atiku should go and clear his name. The US Embassy in Abuja refused to comment on the controversy for several years. Meanwhile, the former vice president has called on the Ekiti State governorship candidate of the All Progressives Congress (APC) , Dr. Kayode Fayemi, to be prepared for defeat . Atiku said the APC should be ready to accept defeat in the spirit of the 2015 concession of defeat by former President Goodluck Jonathan. Atiku , who was in Ekiti with members of the PDP Governorship Campaign Council yesterday expressed satisfaction with the level of the preparedness of his party for the upcoming election. PDP bigwigs who paid visit to Ekiti State were the Deputy president of the Senate, Ike Ekweremadu; former Senate President , David Mark, former Kano State Governor, Ibrahim Shekarau, Senator Eyinnaya Abaribe; former Governor of Ogun State, Gbenga Daniel , among others. election. We hope that the All Progressives Congress (APC) will accept the outcome of the election. They should be democratic for the first time. We have seen how democratic they are, but for the first time in 2015 we have opposition party taking over from the ruling party, we expect them to do the same,â€ said the former vice president. Governor Ayodele Fayose said the PDP leaders were in Ekiti State because they know that the party would win the election. â€œEveryone is on the same page with us. The only thing the APC is holding on to is to rig the election. We have told INEC that this is a pointer to the 2019 election. They should save their image. The country is bigger than all of us. Let me tell them, if rigging has been tried elsewhere it wonâ€™t work here. The people will defend this election. We are aware of plans to bring thugs here to disrupt the election, the people will stand up to them,â€ Fayose said. But speaking in Ijero Local Government Area of the state , where many PDP members renounced their membership, Fayemi said the PDP had become a desolate party that would not win any election in the state. Fayemi in company of his deputy, Bisi Egbeyemi, and party chiefs, including party Chairman Jide Awe received defectors in Aramoko, Erio, Ido-Ile, Okemesi, Ikoro, Ijero, Ijurin, Iloro, among others, urging voters to reject continuity agenda of Fayose to perpetuate poverty among Ekiti people.